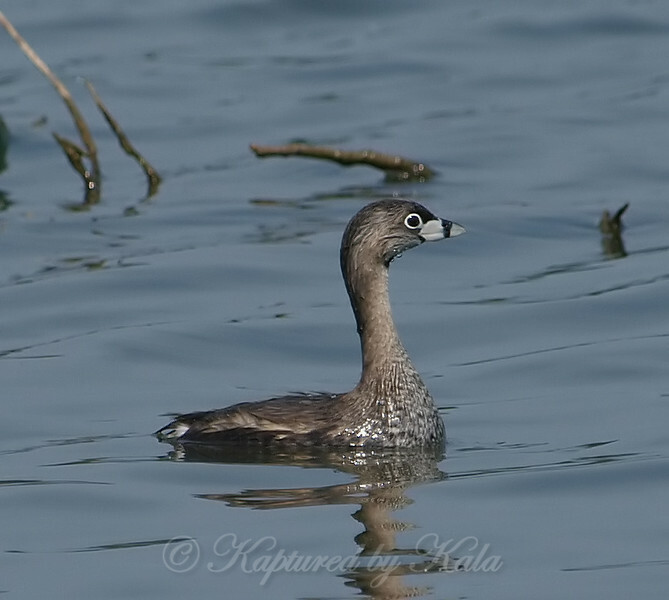 In breeding plumage, there is a white eye ring and the bill is white with a black stripe around it. These are photos I took July 15th and never got around to loading and sharing. The only other time a grebe got close enough for me to get half decent shots. May be the same bird as the one I shared yesterday.